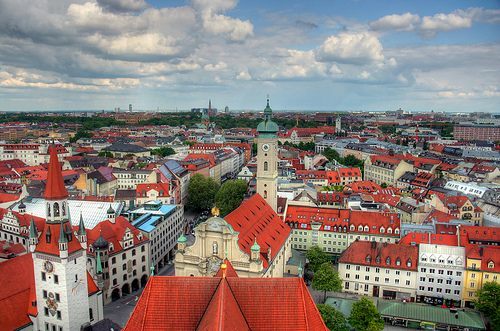 The third largest city in Germany, Munich, has become a world leader in sustainability. Munich is aiming for 100% renewable electricity by 2025 – just 11 years away now. If Munich achieves its goal, it could become the first city with a population of over a million to do so. Overall, Europe has a target of 20% renewable energy by 2020, so Munich is way ahead of that target. The City of Munich, together with the city-owned power utility Stadtwerke Muenchen (SWM), has set a goal of producing enough renewable energy to meet the demand of the whole city by 2025, which is about 7.5 billion kilowatt hours per year. SWM is set to invest a total of €9 billion in a renewable energy expansion program. This year, a hydro power plant on the river Isar is expected to be completed, which will generate enough energy for about 4,000 households. Part of the overall plan involves the development of a decentralized network of small scale energy plants, operated as a single system. Along with its impressive renewable energy target, Munich has policies in place to mitigate climate change in other sectors, including industry, trade and services, private households, transportation, and the working of City administration itself. It’ll be interesting to see if some competition now develops between major cities worldwide, to see which can be the first to reach 100% renewable energy. Now that would be some healthy competition.